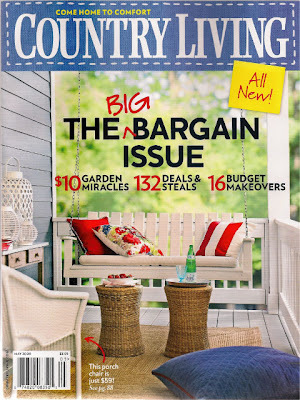 Sarah Gray Miller and the editors of Country Living have made my month. 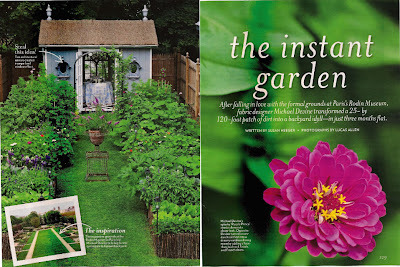 I am ecstatic to have my garden featured in their redesign launch issue of the magazine. 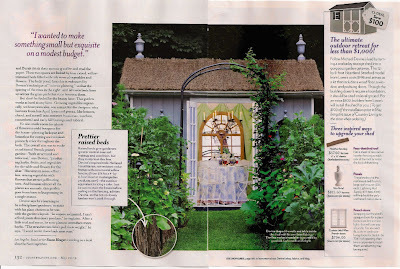 The May issue features six pages of tips, how-to and other relevant information that I have learned in creating a chic sustainable garden that doesn’t require six gardeners to maintain. 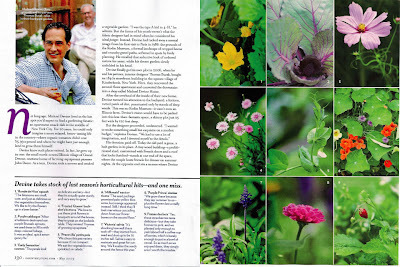 Included in the scheme is delicious home grown organic food almost year around. All in a tiny space that was once a dumpy neglected patch when I bought the place. So here it is, after some loving care, thirteen truck loads of new top soil, a fence, raised beds from Oregon, sod and a customized prefab shed.